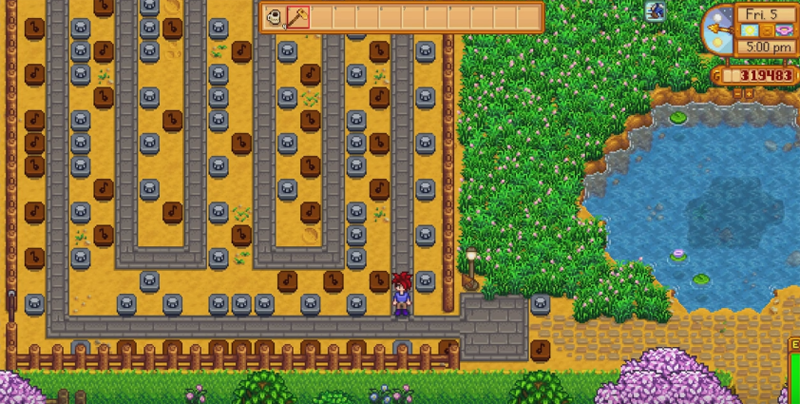 Here’s a really neat way to use note blocks in farming sim Stardew Valley. Instead of growing vegetables, Chinchilla made a small field with note blocks, playing the well-known Chocobo Theme from Final Fantasy. Pretty hard not to smile after watching it. And it gets even better at 1.5x speed.